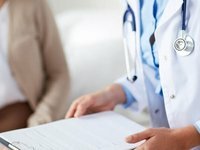 The Health Ministry of Ukraine intends in December 2018 to sign an agreement with the National Board of Medical Examiners of the United States of America (NBME) for the purchase of services for conducting international monitoring research on the quality of higher medical education in 2018 regardless of the subordination and ownership of the institution for a total of $575,000. According to the ProZorro public procurement system's website, tender offers were disclosed on December 5, 2018. The deadline for providing the service is May 17, 2019. The Ministry of Health intends to conclude an agreement with the NBME through a negotiation procedure due to lack of competition.